Magharebia, Hassan Benmehdi (August 11, 2014) ― During his Throne Day speech on July 30th, the Moroccan monarch called for a national study of intangible capital to be carried out with a view to rectifying social disparities. 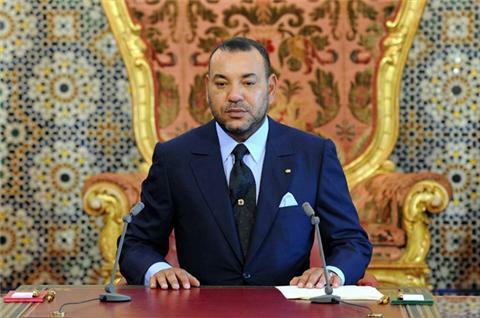 “It is not so much the balance sheet and the figures that matter, but above all the direct impact in terms of quality that achievements have had in improving living standards for all citizens,” King Mohammed VI said. The task of carrying out the study, which will cover the 1999-2013 period, has been entrusted to the Economic and Social Council (CES) and Bank al-Maghrib. The aim is to assess the real impact of public policy on people’s daily lives, according to Hassan Horrani, a member of CES. “The main goal is to measure the contribution of all factors, which are generally not included in standard indices, to the improvement of people’s living standards,” he said on the side-lines of the first meeting of the CES on the subject, which was held on August 1st in Rabat. On the same occasion, Professor Driss Guerraoui said that the goal of this study, which will go beyond numbers, is to give meaning to the concept of human development in Morocco. “It is a break with our way of assessing and evaluating achievements in terms of economic, social and cultural progress,” he explained in a media statement. Specifically, the president of the CES, Nizar Baraka, underlined that the intangible capital survey would seek to enable Moroccans to learn about tools and means of creating wealth and job opportunities. The CES announced that in order to carry out the study, it created standing committees, each with a different area of focus, to assess developments in terms of intangible capital and to make practical recommendations. The governor of Bank Al-Maghrib, Abdellatif Jouahri, said it was too early to talk about any particular methodology “because we’re at the very beginning of the process”. Moroccan analysts noted that this initiative had two dimensions, which are difficult to quantify but of fundamental importance. The first relates to the even distribution of the country’s overall wealth, and the second relates to the degree of social cohesion. “While Morocco has made tangible material or physical progress, the fruit of the wealth that has been accumulated is not benefiting all Moroccans equally,” said Zakaria Abouddahab, a professor at the Mohammed V University of Rabat. Othman Abouomar, a journalist who specialises in analysing political speeches, told Magharebia that the policy aspect of this study was important for a new social covenant in Morocco. “This study will highlight a delicate issue, which is most often controversial, namely the creation of wealth, but above all its even distribution,” Abouomar said.